Logotherapy provides and additional set of skills that will add to your professional expertise. It will provide you with a deeper understanding of what it means to be human and of life itself. Our courses have graduates and students from the medical profession, psychology, counselling, nursing, pastoral care, ministers of religion and the business world. If you are seeking a new perspective on your own life or to acquire skills and understanding as an adjunct to your core profession, this course aims to provide that pathway. Click on the headings below to learn more about our Courses in Logotherapy. We offer two courses, Advanced Diploma and Advanced Course. Both have exactly the same content. The Advanced Diploma and the Advanced Course each consist of Four Units, listed below. Both courses are delivered online, full time, self-paced or a combination of these over the two years of enrolment. The first Unit is a prerequisite for all of the others and students are required to complete this Unit successfully before progressing to the remainder of the Units. Students would then usually follow the Units in sequence. Unit Four can only be done after the completion of the first three Units. Students are required to purchase the text for each unit in either hard copy or online before beginning each Unit. A background in medicine, nursing, community services, social work, counselling, psychology, psychotherapy, pastoral care, chaplaincy or related fields and preferably a relevant recognised higher education or vocational education qualification at Certificate IV or above or sufficient work experience to indicate likely success at this level. A high level language and literacy levels sufficient to interpret complex documents and summarise your learning in significant written assignments. The Advanced Diploma (10561NAT, RTO 31607) is Nationally Recognised Training at AQF 6 level, has ASQA accreditation and is accredited as specialist training through PACFA (in progress). 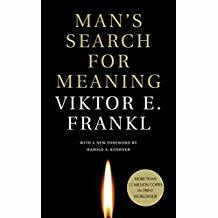 Both courses have industry recognition from the Viktor Frankl Institutes in Vienna and the USA. 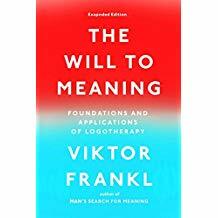 Important: Logotherapy is an additional qualification to your professional qualification. It is not a qualification for practice in a particular field. The Advanced Diploma if offered through Club Training Australia (RTO 31607). The Advanced Course is offered direct to you by Lifechange Therapies. Enrol Now by going to the Fees tab above. We have a payment method to suit every student. If you decide to pay for the whole course upfront you will enjoy a substantial discount. You can proceed with your course without worrying about further payments. Or if you prefer to spread your payments you can take advantage of our monthly payment plan over 24 months, or choose to enrol and pay for one unit at a time. 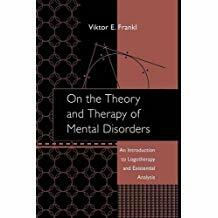 Our two courses are priced as competitively as possible as our primary aim is to further the understanding and application of Logotherapy and Frankl’s insight into the reality of what it means to be human. Has a higher price structure due to the cost our RTO (Club Training Australia RTO 31607), incurs to ensure compliance with ASQA requirements and the fees for service they need to pass on to Lifechange Therapies for access to their Learning Management System (LMS). The Advanced Diploma is Nationally Recognised Training. Credit for further studies at TAFE and University could be sought for this course. Course material is provided via the LMS and student work uploaded to the LMS for assessment and comment. (Note the final cost of this course is currently under negotiation with Club Training). Is offered by Lifechange Therapies as a cost-effective alternative to the Advanced Diploma. Course material is supplied online via Dropbox and downloaded by students. Student work is sent by email to your tutor for assessment and comment. 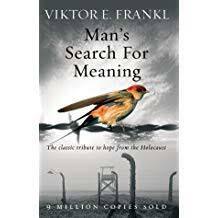 Enrolment in the full Advanced Course includes 2 years of membership of the Viktor Frankl Institute Australia (currently $100 annually). (Does not apply to single unit enrolment option). Enrol in Single Unit Yes – Use the Contact Us form below Yes – Use the Contact Us form below. A tutor is appointed to work with you during your enrolment. You can have regular email, skype or telephone contact with your tutor and join the online group for each Unit. You tutor will be a qualified Logotherapists who also have higher level degrees in other disciplines – Counselling, Psychology, Sociology, Education. In addition to an invitation to participate in the online tutorials for your course, you can email your tutor at any time and if necessary you can organise a time to meet with your tutor online to discuss aspects of the course or seek clarification of concepts or support with assignments. Enrol Now by going to the Investment tab above. Paul McQuillan PhD, Psy D.
Motoko Shimokawa. M. Couns, M. Soc. Sc. (Pastoral Counselling), M.A. M Couns (QUT), M Soc Sc (Pastoral Counselling) ACU, MA(Sociology), BA, G Dip Ed, G Dip Interpreting / Translating, Cert IV Workplace Training and Assessment, PACFA Registration (Provisional), Advanced Diploma of Meaning Centred Therapy (Logotherapy) Studies, Lifeline Accredited Crisis Support worker. Tutorials are scheduled for 1 hour each. Study online and at your own pace, so you can fit the course with your learning style. Maximise your investment and save a significant amount compared to traditional classroom programs. Industry accredited by PACFA (in progress) as a specialist training program. Nationally recognised training program (Advanced Diploma) by ASQA. Equivalent training to the ASQA accredited course (Advanced Course). A complete external study support system with optional online tutorials and access to experienced tutors. International recognition by the Viktor Frankl Institutes in Vienna and USA.